How Could These Events Affect the Markets? What Can You Expect from Volatility, Inflation & Tech Regulation? Could Euphoric Sentiment Lead to a Bubble? Does Investor Confidence Mean a Bullish or Bearish Signal? 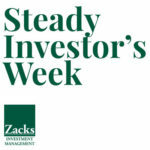 Should You Brace for Volatility in September?